Robert A Sutherland died 14th July 1987. 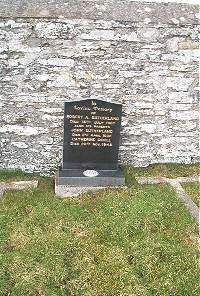 Father John Sutherland died 2nd April 1932. Mother Catherine Doull died 26th November 1948.